Canopy tent for riders waiting in line, over our games, machines, tables. 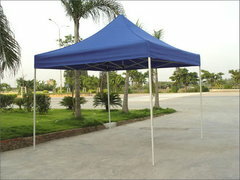 Normal price $47.00 per canopy tent. Public Rental canopy tent for riders waiting in line on rider chairs. Real Time of Party Needed for accurate routing. 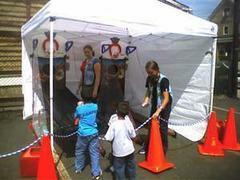 RentalSafety.com on line training and skills for volunteers helping supervise at your event. 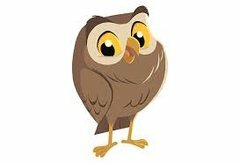 There is no maximum number of volunteers who may do the online training for your event. 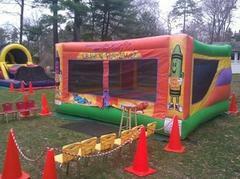 RentalSafety.com on line training self supervision for BACK YARD party. Staff Supervision per hour INFLATABLE Combo. Also requires your volunteers to assist for the duration of your event. 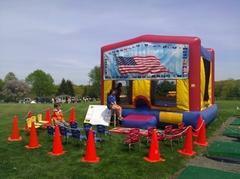 Staff Supervision per hour INFLATABLE Jump House. 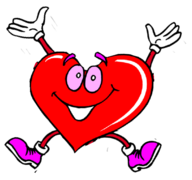 Also requires your volunteers to assist for the duration of your event. 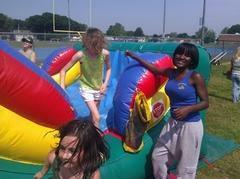 Staff Supervision per hour INFLATABLE Obstacle Course. 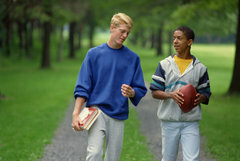 Also requires your volunteers to assist for the duration of your event. Staff Supervision per hour INFLATABLE ride. Also requires your volunteers to assist for the duration of your event. 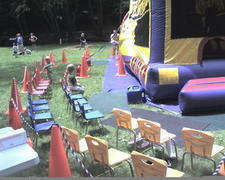 Staff Supervision per hour INFLATABLE Slide. 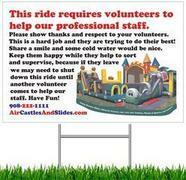 Also requires your volunteers to assist for the duration of your event. Volunteer Crew to help staff setup/take down rental items for your rental package.